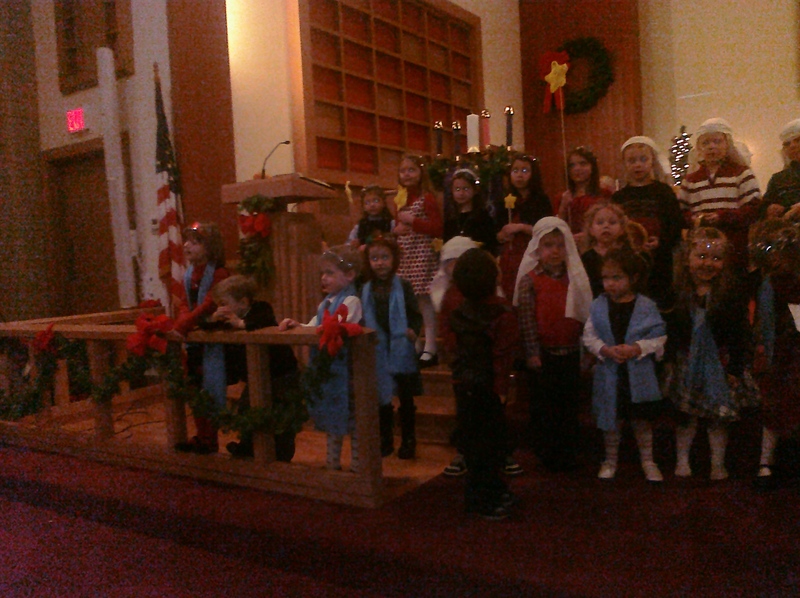 There was a children’s pageant at our church yesterday. Since Maggie is the only one who will go to Sunday school – she was the only one in it! While Mike was at work, I took all 3 kids with me. Thank goodness I sat beside VP so I could sneak up and see that Maggie was okay in the front while leaving the boys with her. (She also took the following picture on my phone 🙂 Thanks VP!!) We didn’t make it through the whole thing, but we did get to see Maggie’s part. 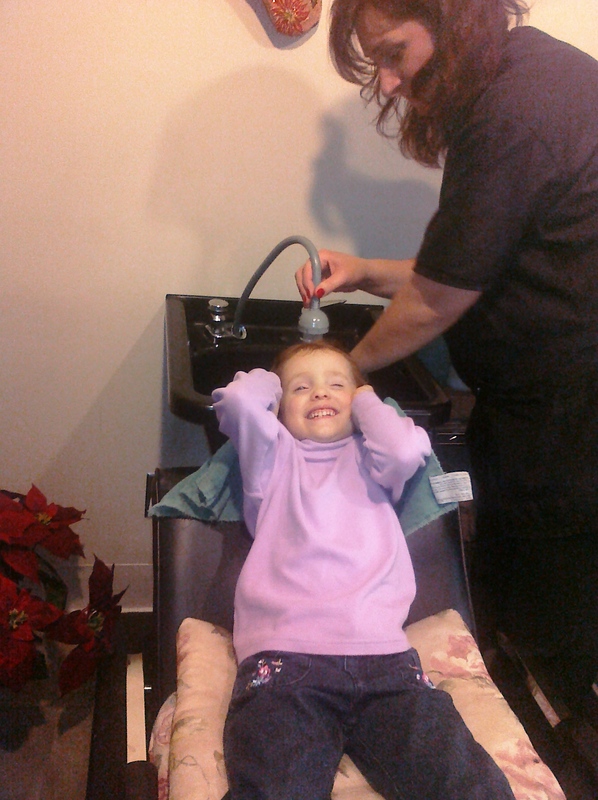 And lastly, Maggie was a big girl today and got her hair washed before getting it cut…except that she couldn’t stop giggling because it ticked. Which totally cracked me and Ms. Hairdresser up. Who knew I’d be talking about Maggie for all of those? 😉 All three, totally Make My Monday. 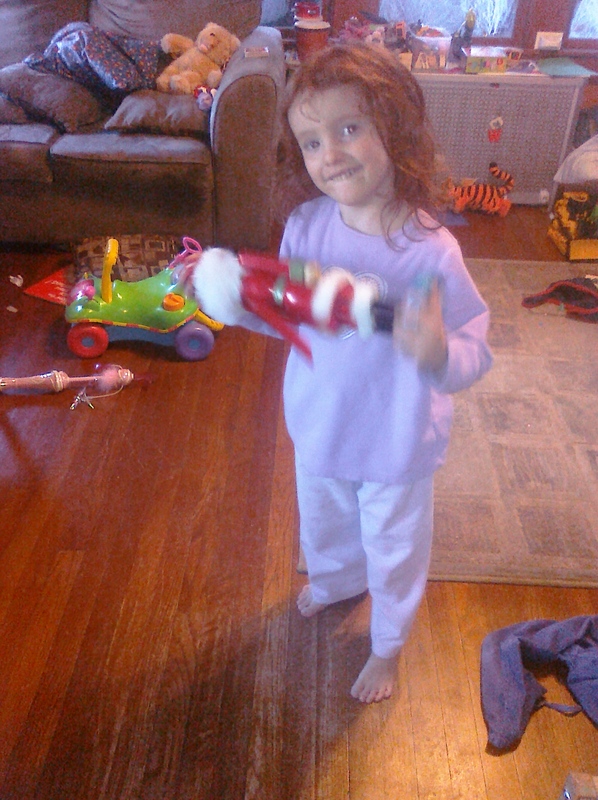 My son love nutcrackers and collects them. I used to think it tickled too when getting my hair washed!